So, I've already discussed my love of my all time favorite tv show, Tales From The Crypt, in an early blog entry, so I decided to go down a different route with this and pick what could be second place. In no way is that bad, though. Especially when you're Tales From The Darkside! 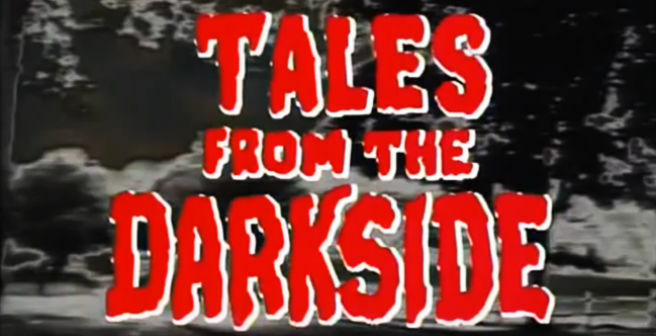 Before Tales From the Crypt hit it's 7 season stride, plenty of people relied on the Darkside for creepy dead-time stories. 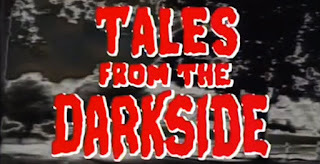 Truth is, I had always watched Tales From the Darkside,but I never truly got into it until I got older. I was always a much bigger fan of The Crypt. One day I had a sick day from work and there was a marathon on SciFi Channel, Nothing but 8 hours of this show. What a great way to dive in. They showed a lot of great episodes that helped me develop a bigger love for the show. Which it made sense, afterall, without becoming hooked on Tales from the Crypt early and seeing Creepshow at age 4, I wouldn't be into horror. Definitely wins for creepiest horror show theme. You just can't turn out the lights after hearing it. Hardee's Gives Us Ghostbusters 2 Stuff!